Who likes being sick? I guess it is safe to say no one likes it and definitely most people hate getting sick. Sickness is avoided at all cost because it puts life on hold. However, catching a flu or any illness for that matter is sometimes inevitable, especially if your immune system is down and you are frequently exposed to microorganism causing disease. There are countless of diseases which manifest different kinds of signs and symptoms. Many people get confused by the diversity of these conditions. For example, Pneumonia and hyperthermia, a bit number of people don’t know the whole picture about the two conditions. Well, in fact, they are very different from each other. Hypothermia is not a disease. It is a condition when the body’s core temperature is significantly or extremely below normal temperature required for proper body function and metabolism. The normal body temperature is at 98.6 degrees Fahrenheit or 37.0 degrees Celsius and Hypothermia kicks in if the body temperature is equal or below 95 degrees Fahrenheit or 35 degrees Celsius. 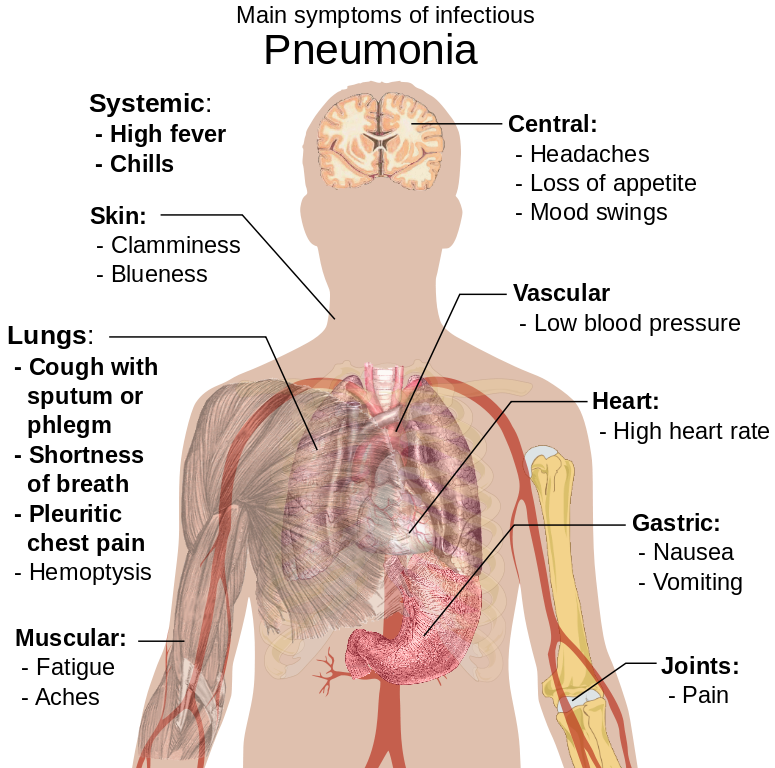 Hypothermia can cause the body to shut down leading to coma and eventually death. It is important to increase the core temperature of people experiencing Hypothermia. Pneumonia is not a specific disease. It is actually a general term used to describe several kinds of lung inflammation. This condition occurs frequently in children, elderly and those who are immunocompromised. It is contagious, yet a curable lung disease. However, without a prompt treatment some type of Pneumonia can really be deadly. Pneumonia can affect one or both of the lung parenchyma, which are caused by various agents. The most common causative agents of pneumonia are viruses and bacteria. But some are caused by inhalation of chemical or other substances that irritate the lung parenchyma and cause it to inflame. In depth discussions are provided below to further understand the different types of Pneumonia and their causative factors. In the advance stage of Bacterial Pneumonia, blood streaked sputum production is also assessed. Walking Pneumonia is an Atypical Pneumonia caused by Mycoplasma pneumoniae. Hence, this type is also known as Mycoplasma Pneumonia. This type is generally mild and produces the same kinds of symptoms that of the Bacterial Pneumonia. Walking Pneumonia develops gradually and may not experience severe symptoms until several days after being infected. Pneumonia can strike anyone, but it can be treated without hospitalization except in severe cases. Lung conditions such as this should not be taken for granted, especially in children, elderly and immunocompromised persons. Try to remember the different types and facts about it for accurate treatment. It is really no fun getting sick, so when you see the first signs and symptoms of Pneumonia, better see a health professional to prevent it from getting serious. Jade Sison. "The Difference between Pneumonia and Hypothermia." DifferenceBetween.net. April 10, 2015 < http://www.differencebetween.net/science/health/the-difference-between-pneumonia-and-hypothermia/ >.